When walking along the elevated urban greenery, it’s hard to imagine that this attraction was close to never existing, had it not been for a few dedicated residents and weeds that just wouldn’t die. The Royalton is located just a few blocks from the subway lines that will transport you to one of the best walking routes in town. In a nutshell, the High Line came to be in the early 20th century when a project was proposed to elevate freight lines to avoid accidents. A few decades later, however, sections of the line became disused and almost faced demolition in the 80s. As fate would have it, the line was just sitting there, abandoned and exposed to the elements, when vegetation started sprouting. A few neighbors caught wind of what was happening and began campaigning to save the new wild urban landscape. This was achieved in 2009 when the High Line as we know it opened its doors to the public. The main attraction is enjoying the tribute to nature’s perseverance. High Line is now home to sections featuring various species of shrubs, flowers and even trees. For example, visit Chelsea Thicket (between 21st St and 22nd St), Philip A. and Lisa Maria Falcone Flyover (between 25th St and 27th St) and Northern Spur Preserve (16th St) to wander between miniature forests, fragrant gardens and self-seeded meadows. 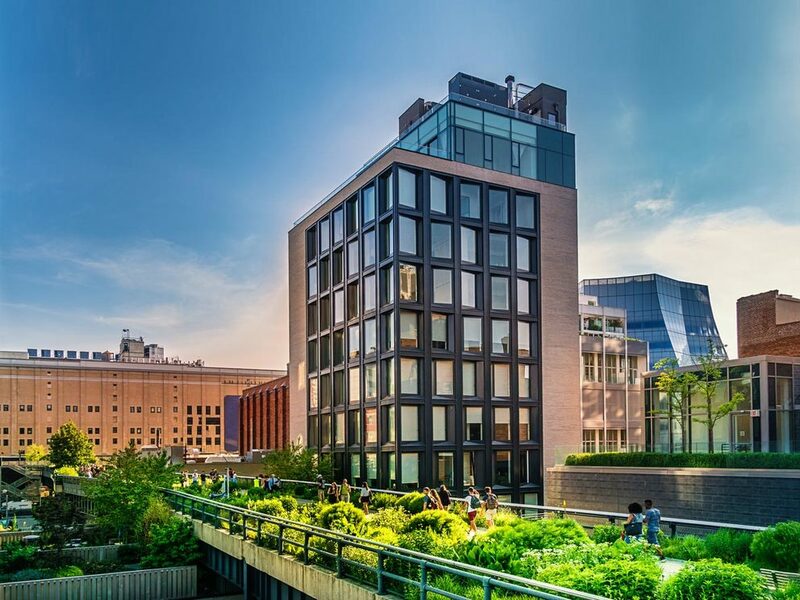 High Line also has areas with vantage points to see amazing views, such as Tiffany & Co. Foundation Overlook (Gansevoort St), Diller – von Furstenberg Sundeck & Water Feature (between 14th St and 15th St), The Rail Yards (between 30th St and 34th St) or 10th Avenue Square (17th St). You’ll always find seasonal activities, programs and cultural events along the High Line. Visit the website or consult the calendar to know what’s happening now. The High Line runs from Gansevoort Street to 34th Street, between 10th and 12th Avenues. 7:00am–10:00pm, with longer hours in summer. Walk to subway and take Lines 1, 2 or 3 (red) at Times Square/42nd St to 14th St. Walk three blocks to Gansevoort St. Walk four blocks to 8th Avenue and take the subway, Lines A, C or E (blue) at 42nd St/Port Authority Bus Terminal to 14th St. Walk two blocks to Gansevoort St. Walk to subway and take Lines 1, 2 or 3 (red) at Times Square/42nd St to 34th St Penn Station. Walk four blocks to 8th Avenue and take the subway, Lines A, C or E (blue) at 42nd St/Port Authority Bus Terminal to 34th St Penn Station. The High Line is not the only special thing you’ll encounter on your next visit to New York. Book your room at the Royalton and take advantage of our special offers to get the most out of your trip to the Big Apple.